When KIAN penned Waiting at the age of 14, he had no idea it would be the track that earned him the coveted ‘next big thing’ crown. Performing on Baker Boy’s explosive Cloud 9 and subsequently touring the country, the release of Waiting nudged the spotlight onto the young artist. Winning Unearthed High last month was just the beginning. Now, TMN can announce that KIAN has inked a deal with Sydney-based booking agency Select Music. We chatted to Kian Brownfield, his co-manager Chryss Carr, live agent at Select Music Casey O’Shaughnessy, and Travis Banko from Laneway/Lunatic Entertainment about how they got KIAN onto the first Laneway lineup, and the exciting news just around the corner. Since winning Unearthed High, Waiting has been added to high rotation, garnered commercial radio play on NOVA and AUSTEREO, and clocked up over three million streams on Spotify. The track also made it into the Top 15 mainstream Apple Music Chart, was #2 on their New Music Playlist, and on Spotify’s Viral lists it held the #1 on Australia Viral 50, and just this morning it hit #37 in Germany. Over at TMN’s charts, Waiting sat for a week at #96 on the Hot 100 and hit #18 Apple Music AU, #30 on Shazam AU and #52 on Spotify AU Charts. “It’s quite magical really. But mad too. Every day is fun and exhausting and it’s great to see that fans and industry can see what we can see – a star is born,” enthuses his co-manager Chryss Carr of AUM PR + MGMT. But while the Unearthed win did a lot to raise his profile, his seemingly overnight success comes down to the years of hard work and planning that’s gone into Kian’s journey. 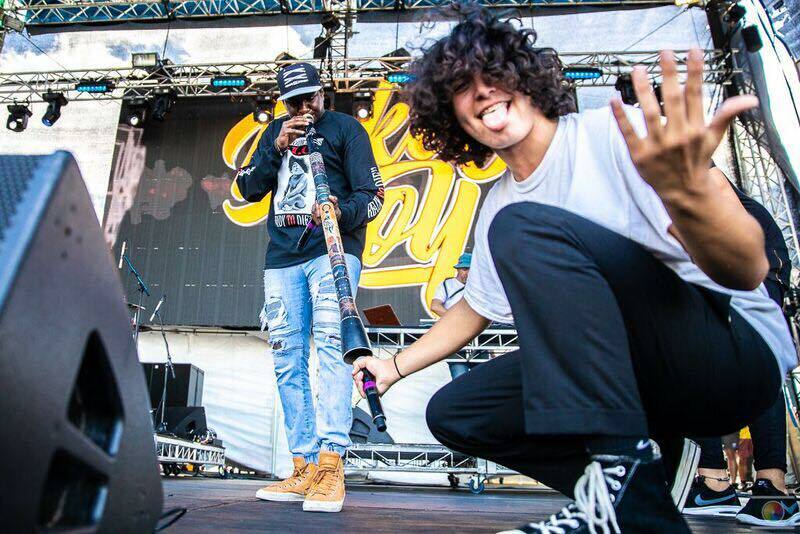 Since the age of two, Kian has travelled with his father Dion to remote communities to make music – which is how he met Baker Boy aka Danzal Baker at age 13, at Beswick Community in the NT. His appearance on Cloud 9 came a few years later in 2017, and from there, Chryss Carr – who also manages Baker Boy – took Kian under her wing, co-managing the young talent alongside his dad under the company name Grand Trine. “His dad Dion clearly stated his potential – although the first times I saw Kian perform he was hiding under his hair,” remembers Carr. “However, over the course of the year Kian’s developed into a fully fledged showman himself. “From a PR perspective we worked with his publicist [Cooper-Lily Nikora, also of AUM PR + MGMT] to create a profile-building strategy that put a soft spotlight on him when he performed with Baker Boy, and simultaneously Dion got him writing and recording songs. When Waiting was finally recorded, Dion sent it off to Laneway/Lunatic Entertainment artist manager Travis Banko; a childhood friend from the small town in Victoria where they grew up. “I was instantly blown away,” Banko tells TMN. Meanwhile, Carr and Select Music Music’s Casey O’Shaughnessy were in conversation about finding him a booking agent. Kian has spent the last 12 months performing with Baker Boy, playing over 35 festivals in Australia and his first international gig at Riddu Riđđu festival in Norway. As a result, most of his team is also Baker’s, including producer Jerome Farah and “of course both brotha boys Dallas Woods and Danzal Baker, who encouraged him to give it a go and mentored him from the get-go,” says Carr. “Proof is in the pudding,” Kian jokes. “The Select team – especially my live agent Casey – is like a family vibe. [After] the Baker Boy set at Splendor, I came off stage and Stephen Wade was standing side stage for the show – it was so powerful and captured what live music is all about! Already quietly locked in to perform at Laneway, Kian’s BIGSOUND performance solidified him as an artist to watch, with Carr enthusing how many industry personalities were packed into the room. Among them was Banko, who remembers Kian’s set as “impressive”. There are no signs of the buzz petering out any time soon – Kian, his Dad and his lawyer are currently in the States, where they’ve been flown over to enter into conversations with major labels. “I have had major labels across the globe all throwing their hat in the ring to record songs and take my music to the world,” continues Kian. “I spent an awesome week in LA hosted by APG Atlantic, spent three days in studios collaborating and working up music. Right now I’m in New York City meeting with Republic Records and Island Records with my dad and my lawyer. “What we definitely do know is that a worldwide deal is just around the corner,” Carr confirms. 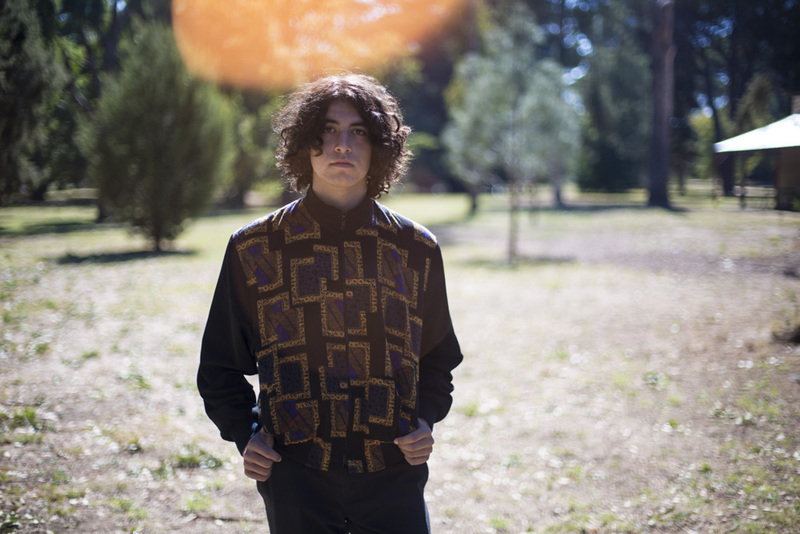 As well as at Laneway, catch Kian supporting fellow young gun Ruel at his Sydney and Melbourne shows later this month. Laneway tickets go on sale from 9am on Tuesday, 25 September.